Everyone's favorite hero from the 2016 Rio Summer Olympics, Pita "the Shirtless Tongan" Taufatofua, made his triumphant return in Pyeongchang. The first athlete from Tonga to compete in both the Summer and Winter Games, Taufatofua finished 114th out of 118 competitors in men's 15km cross-country event -- he only learned to ski three months prior. Taufatofua couldn't resist making an entrance at the Opening Ceremony with iconic moment. The Shirtless Tongan is Back! South Korean figure skater Yura Min felt the dress slipping off her shoulder and down her arm but still powered through the performance with Alexander Gamelin. But French ice dancer Gabriella Papadakis' costume mishap was even worse. Her top became unhooked, briefly exposing her left breast and leading to what she described as the "worst nightmare happening at the Olympics." 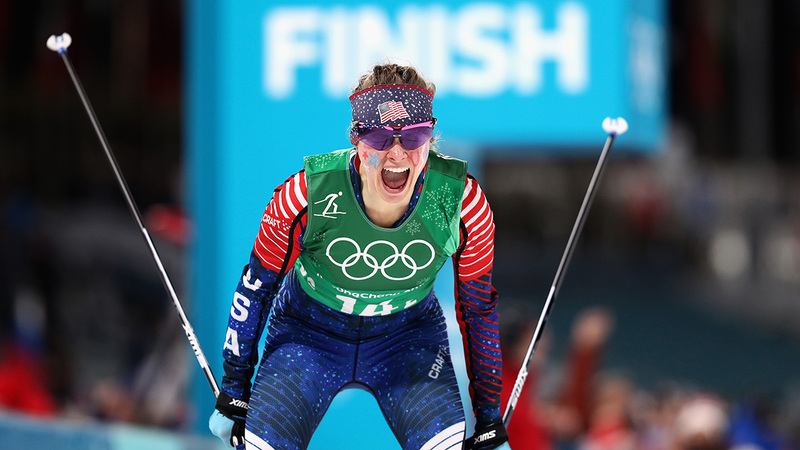 U.S. cross-country skier Jessie Diggins and NBC broadcaster Chad Salmela teamed up for what will be, for many, the lasting memory of the 2018 Games. As Diggins powered down the last stretch of the race to win gold, Salmela made it crystal clear just how big the moment was. Kikkan Randall and Diggins earned the first ever cross-county gold medal for the United States. 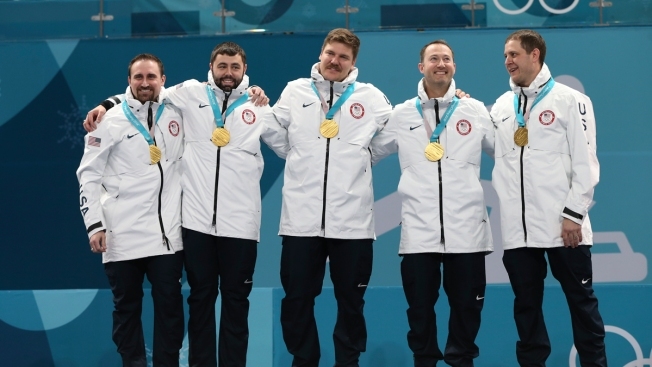 After going off air, Salmela's partner asked if he thought they went overboard on the call and Salmela responded emphatically: "No freakin' way man that was the gold medal!" Indeed. The Olympic Games are reserved for admiring the athletic feats of the world's top competitors. But we all witnessed greatness from Swiss skier Fabian Bösch before his events even began. The daredevil showcased a number of head-turning moves, riding an escalator the unorthodox way, two-man bobsledding a forklift, and saluting from high atop the Olympic rings. For many, it's a dream come true to partake in the Opening Ceremony of the Olympic Games. One individual, who may or may not have deserved to, lived out the fantasy this year in Pyeongchang. Clad in a knee-length red parka and a baseball hat, this guy crashed the Opening Ceremony -- twice -- before being removed by security. Her extremely average halfpipe run drew international attention. They were a unique sight by juxtaposition, but Elizabeth Swaney is a unique individual. The Silicon Valley software engineer recruiter is a Cal and Harvard graduate. But the 33-year-old achieved her lofty goals this year, representing Hungary in the women's halfpipe in Pyeongchang. Everyone loves the Olympics. Especially this moose, who was captivated by bobsled action. 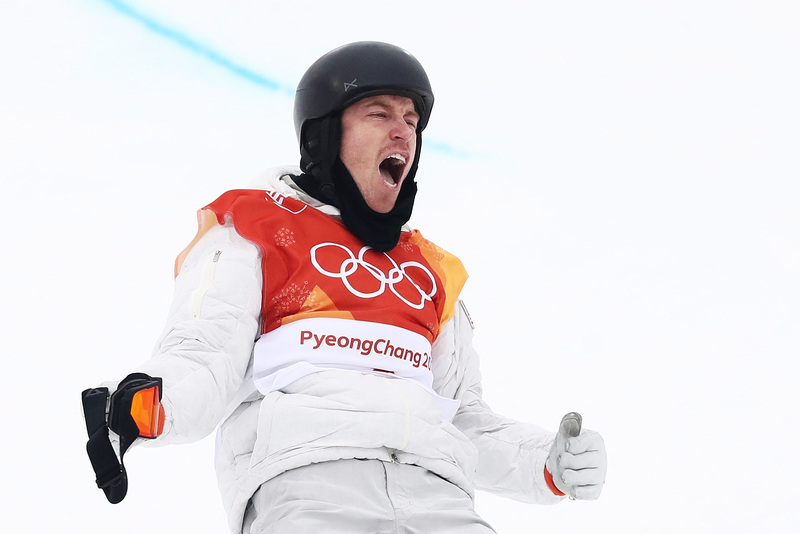 Shaun White captured gold on his final run in the men's halfpipe at the 2018 Winter Games. The 31-year-old's reaction with his family and friends became one of the most widely-shared Olympic moments. Chloe Kim was one of the breakout stars of the 2018 Winter Games, where she showed up hungry for medals--and sweets. The 17-year-old snowboarder cruised to gold in the women’s halfpipe, but she may have received just as much attention for her tweets about food--specifically her love for churros and her mid-event craving for ice cream. 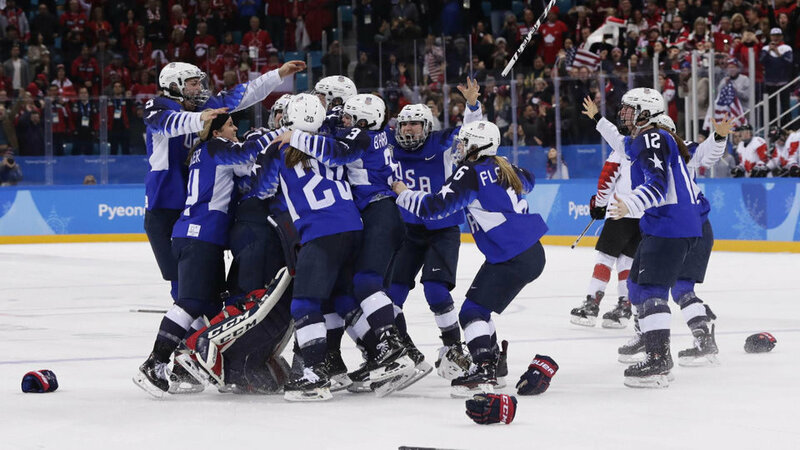 It took overtime and an extra shot in the shootout, but the United States women’s hockey team defeated Canada in a thrilling gold-medal game. After heartbreak in Sochi, the women belted out the national anthem from atop the podium for the first time since 1998 in Nagano. Austria’s snowboarder, Daniela Ulbing, won her heat even though she had to dodge a squirrel that dashed in front of her during women’s parallel giant slalom. "When you think you’ve seen everything at the Olympic Winter Games...," the announcer said.